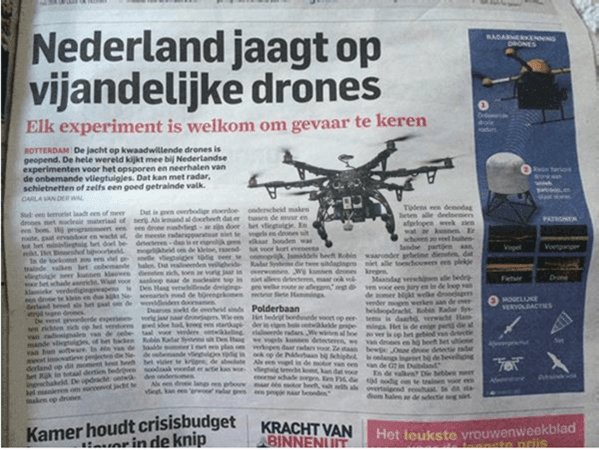 Four companies have entered the next round of the Small Business Innovation Research (SBIR) track on drones organised by The Royal Netherlands Marechaussee, the National Police, and the National Coordinator of Counterterrorism and Security (NCTV). In mid-2016, Robin Radar, Microflown, Cobbs Industries and Delft Dynamic will demonstrate their solutions for early detection and neutralizing for countering the threat of mobile unmanned systems in the form of a prototype. 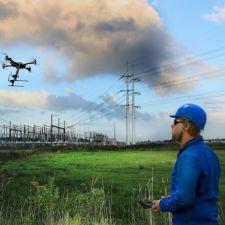 Drones have become relatively cheap and readily available. They can be used to smuggle banned substances and disturb public order. What can we do against this? Innovative entrepreneurs were asked to come up with innovative solutions to take over control, intercept or redirect, and detect the location of the person in control of such systems. SBIR is part of the Ministry of Security and Justice’s new innovation policy. Thirteen feasibility studies were conducted, from which the four best proposals were chosen. 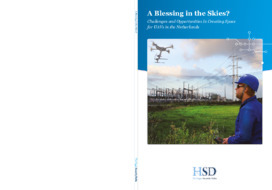 The proposals of Robin Radar and Microflown are targeted towards detection and identification and the proposals of Cobbs Industries and Delft Dynamic focus on neutralising drones. Microflown is developing a solution for areas that cannot be covered, for example areas between buildings. The technology they are developing is aimed at ‘hearing’ drones, even in a noisy urban environment. Delft Dynamics is developing a Net Gun attached to a drone. This drone can fly to the hostile drone and take it down. In total the NCTV made available 1.75 million euros for this innovation competition. Click here for more information about the SBIR programme.